Hi……this Jim in Cumberland MD……..I got 2-3 lbs of field oats from you…..tell me……could you bring me that much more again this Thursday?? ?to the farmers’ market….Thank You…..
No problem Jim, I’m glad they are working out for you. if you get this in time, please just make it 5 lbs……my neighbor in the other demonstration plots wants to use my oats-cover-crop idea, too….. 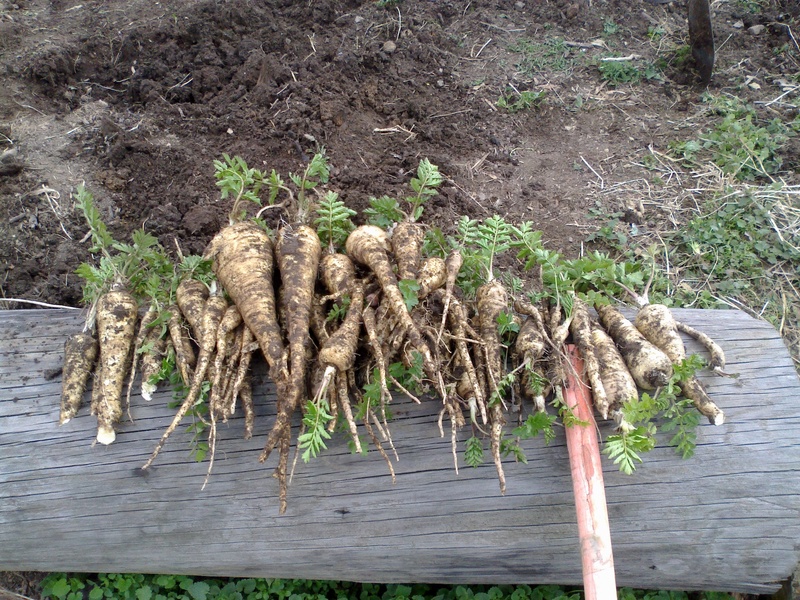 I love parsnips. I have had enough tomatillos though (lol). Maybe I should can the tomatillos per your directions. I have found a crockpot stew recipe with white beans using tomatillos. The celery is really excellent. I have an old Rubbermaid celery keeper that is keeping it nice and crisp. Last week’s apples were amazing. Maybe in January you’ll be missing the tomatillos! I love the celery too, it’s the best crop we’ve ever grown! The rains this summer have really been a blessing for some crops.